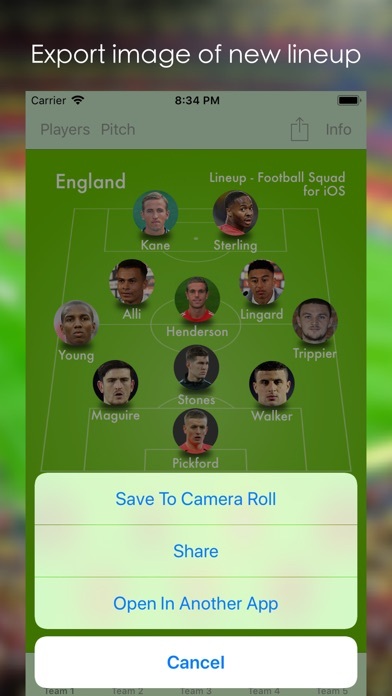 Lineup - Football Squad for iOS allows you to create your own Football lineups and save them as images. You can set up five teams by using your players from your own team, professional players or even your favourite ever 11 from your favourite club. 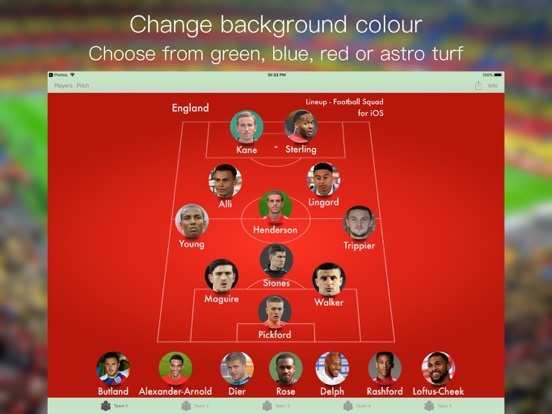 - Rearrange the players by dragging the images anywhere on the pitch or to the subs bench below. 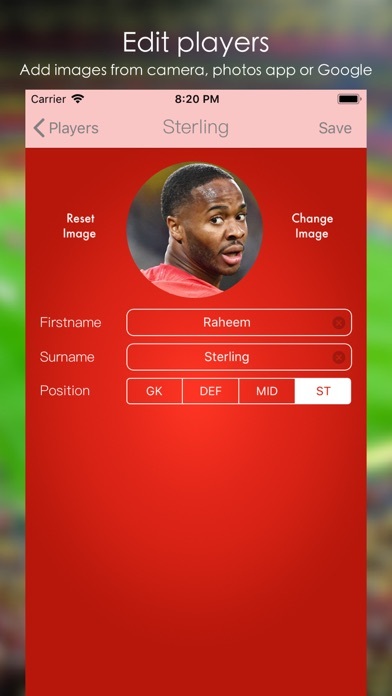 - Players can be changed by tapping the image and selecting a new player. 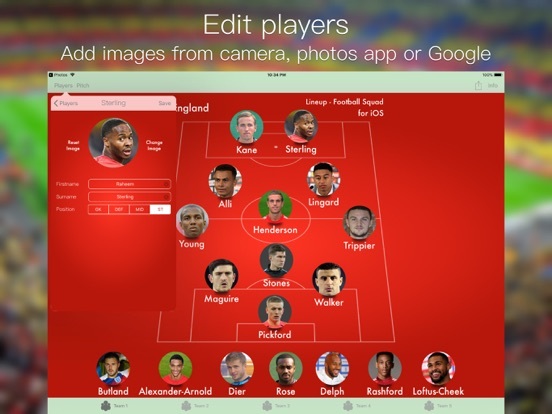 - Images for players can be imported from your camera, photos app or from a web search. 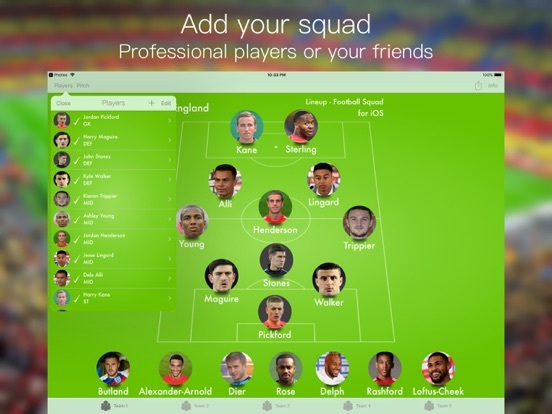 - When your squad is complete, tap the share button and choose where to save/share the image. - Images can be saved to your photos app, shared via SMS/Email/Facebook etc or opened in another app. 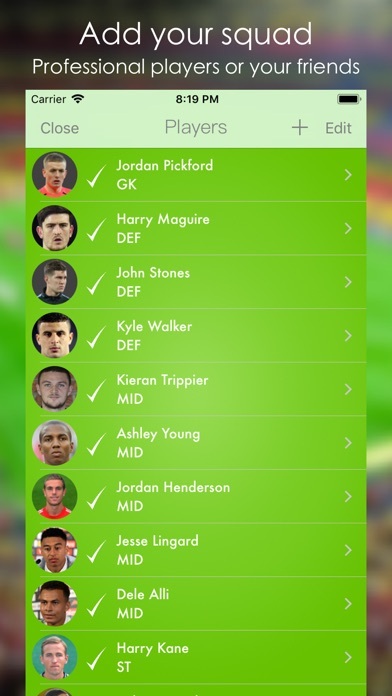 I hope you enjoy using Lineup - Football Squad for iOS. - Choose to export a square image of just the pitch or a rectangle image including the subs area. - Updated to fit the iPhone XS Max and iPhone XR.